We’ve heard a lot about how we are in the second ‘golden age’ of television. Drama production, specifically, has experienced a glorious resurgence and arguably some of the best-quality TV drama ever produced has emerged in the last five years. And when you think of the source of all this great television, the US and the UK immediately come to mind – but that is changing. More and more, we’re seeing great dramas that have global appeal coming from Israel, Sweden, Australia and, of course, France. We have been working in France for our entire careers and we’ve never experienced the degree of acceptance and enthusiasm to work with French producers that we see now. This is largely attributable to some of the incredible international coproduction success stories that have originated in France. 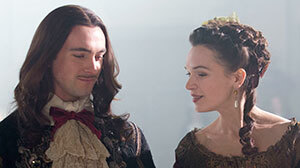 Hit series like Borgia (and The Borgias in the US) and Versailles (pictured top) were made possible by copro partners across Europe, and Canada. Companies in France that have shown a willingness to invest in ambitious projects like these have certainly helped promote French firms as serious production partners. Another contributing factor to France’s TV drama renaissance is the evolution of the talent pool. We are increasingly seeing great screenwriters writing in English. Or, if their English isn’t strong, French-speaking writers are paired with English writers who excel in writing dialogue. Lately we’ve come across some very talented writers who speak English but have never written in English, so they don’t know if they can do it. We tell them, ‘Go ahead. Run! Do it! Just try. We’ll just see how it comes.’ The worst-case scenario is that we’ll need to pair them up with someone who can help with English. We don’t want to put up any barriers to creativity. This freedom is allowing writers to pursue some amazing stories. Whether for an international copro or a French national production, a feature or a TV series, it’s all the same: you need a great story. For us, the story drives everything. We find stories through writers and directors, and sometimes an actor tells us how they want to create a specific character. Wherever it comes from, a great story is the impetus for bringing the right talent and partners to the project. France is fertile ground for storytellers because we have some fantastic historical novels and events that remain untapped by television producers. There is some very strong IP out there just waiting to be developed. What we love about historical drama is that it allows us to explore a moment of history. Looking back through the spectacles of today, it gives you the opportunity to understand who we are, what we are and where we are going now. We are exploring a couple of projects set in the 1930s and we think it’s interesting how such shows can shine a light on where society stands today, and the great challenges it faces when we compare it to the world as it was in that decade. The incredible success of historical dramas like Downton Abbey, The Tudors, Vikings, The Crown, Versailles and The Borgias has created a great opportunity to raise significant budgets for ambitious storytelling. We also see historical drama as a vehicle to address bigger social issues, which is especially true in our quest to develop strong female characters. These dramas are a great way to address women’s issues through the years, examine where we are now compared to the past, appreciate the progress we’ve made and consider how we can ensure those advances don’t slip away. 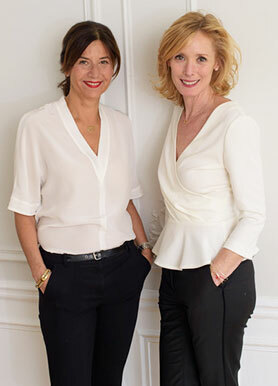 As two businesswomen, that’s something that has become a central focus of our development slate. The coproduction model allows us to explore ambitious subject matter. Whether we are developing a historical or a contemporary drama, we always look for a strong story that will attract an incredible cast, but we are also always looking for strong brands. A certain level of recognition is important if you want to get financing for your project, and that also helps shows stand out in the sea of entertainment options viewers have today. Talent is a big part of that, but if you have a strong brand and a great story to begin with, securing a great cast is not difficult. 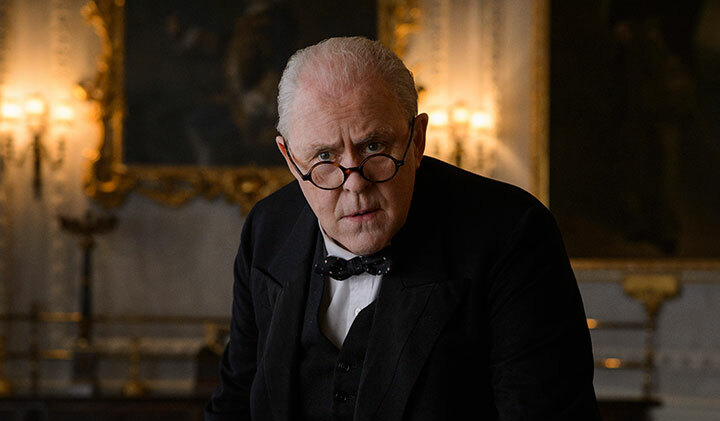 Recent examples include FX’s Feud: Bette & Joan, about the infamous bad blood between Joan Crawford and Bette Davis (starring Jessica Lange and Susan Sarandon), and National Geographic’s Genius, which studies the life of Albert Einstein (played Geoffrey Rush). Furthermore, the French production community, like others all around Europe, is thriving thanks to the proliferation of distribution channels. Having many places where you believe your project can exist and will exist gives you much more latitude as a producer. The high level of platforms for content unleashes our confidence to develop more. Producers tend to second-guess themselves about whether the network will like a show or the audience will watch it. But, especially at the beginning of a project, you should never do that. If you think, ‘I’m not going to do that because it’s never been done,’ you are destined to do the same thing over and over again. We have to do things that have never been done before, both creatively and in terms of financial structure. We are currently developing a sci-fi project set in the near future, which is a first for us. The fact there are more partners around the table liberates us from that pressure [of working in a new genre] and is a huge contributor to this drama renaissance we are now experiencing. Michael Pickard reports on the latest Hollywood star to join the cast of Sky and Canal+’s The Young Pope, the most recent in a long line of papal dramas. Diane Keaton has become the latest Hollywood star to make the move to television after signing up for a new HBO drama that will be coproduced by Sky and France’s Canal+. And while her decision to head to the small screen is another nod towards the current appeal of television drama to traditional film actors, the show she will star in extends another trend among international series. In the latest in a series of dramas surrounding popes, The Young Pope will see Keaton will play Sister Mary, a nun from the US now living in Vatican City. Also headlining the series is another actor known for his feature career, Jude Law, who will play Pius XIII. Other members of the international cast include Silvio Orland, Scott Shepherd, Cécile de France, Javier Cámara, Lidivine Sagnier, Toni Bertorelli and James Cromwell. The series comes from Paolo Sorrentino, who will direct all eight episodes. Production began last week. It is produced by Wildside and coproduced by Haut et Court TV and Mediapro. The executive producers are Lorenzo Mieli, Mario Gianani, Caroline Benjo, Carole Scotta and Simon Arnal. The series focuses on the beginning of Pius XIII’s Pontificate. Born Lenny Belardo, he is a complex and conflicted character, conservative and yet full of compassion towards the weak and poor. Described as a man of great power who is stubbornly resistant to the Vatican courtiers, he is unconcerned with the implications to his authority. During the series, Belardo will face losing those closest to him and the constant fear of being abandoned, even by his God. He is not, however, afraid of defending that same God and the world representing him. As Sorrentino describes it, it’s hard to resist this blend of good versus evil, temptation, power struggles, politics, faith and morality. So perhaps that’s why The Young Pope is just the latest in a number of dramas to be set in and around Vatican City. 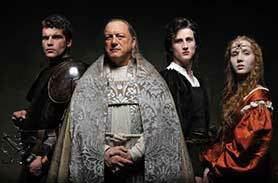 Most recently, US premium cable network Showtime ordered a pilot called The Vatican. It starred Kyle Chandler as Cardinal Thomas Duffy in a contemporary thriller about spirituality, power and politics, set against the modern-day machinations of the Catholic Church. Bruno Ganz (Downfall) was cast as Pope Sixtus VI, while Anna Friel, Sebastian Koch, Matthew Goode and Ewen Bremner were also set to star. Paul Attanasio (House) wrote the script, with Alien director Ridley Scott behind the camera. However, Showtime decided not to move forward with the project in December 2013. Then, of course, we have rival series The Borgias (pictured top) and Borgia. The Borgias, also from Showtime, launched in April 2011 headlined by Jeremy Irons as Rodrigo Borgia, the manipulative patriarch of the Borgia family, who builds an empire by bribing, buying and muscling his way to become Pope Alexander VI. Created and written by Neil Jordan, who also directed a handful of episodes, it became Showtime’s biggest new drama series for seven years, running for three seasons until 2013. 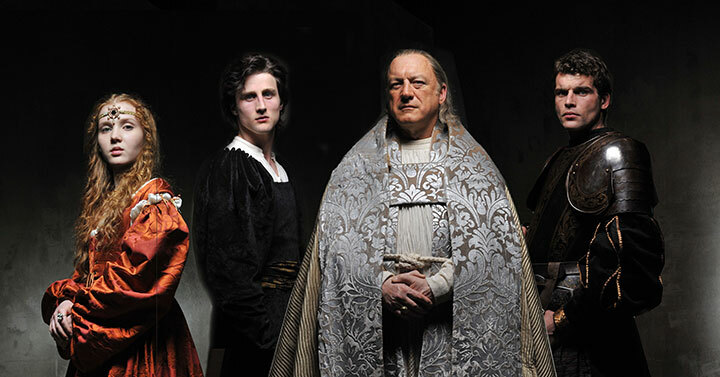 Borgia, meanwhile, was a European series similarly about the rise of the infamous papal dynasty during the Renaissance, overseen by showrunner Tom Fontana. It was produced by Atlantique Productions, EOS Entertainment, Beta Film and Canal+, with Germany’s ZDF and Austria’s ORF and Sky Italia among the broadcasters. It was also picked up by Netflix. Borgia, which also ran for three seasons, between 2011 and 2014, boasted a cast including John Doman (The Wire), Mark Ryder, Stanley Weber, Isolde Dychauk, Marta Gastini and Art Malik. The Borgias was also the title of a 1981 television drama produced by the BBC and Italy’s Rai, starring Adolfo Celi as Pope Alexander VI. As both The Borgias and Borgia showed on screen, dramas involving the papacy can provide writers and directors with a rich tapestry of colourful characters, lashings of intrigue and a host of plots to keep even the most difficult-to-please viewers in front of the TV. Audiences can find out whether The Young Pope will take the crown among papal dramas when it hits screens in 2017.